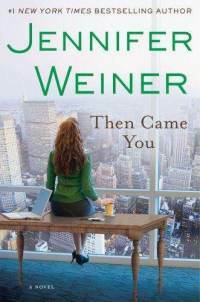 Thanks to my sister in law Kim, I am hooked on Jennifer Weiner books. One of the things I love about her writing is that she sets her books in the Philadelphia/South Jersey area. It's really awesome to be reading a book and know EXACTLY where she's talking about! You probably know her most famous book, In Her Shoes? The one that was made into a movie with Cameron Diaz? Anyways, Then Came You is another winner. I read it straight through in one day, I couldn't put it down. I'm not a big fan of changing first person speakers, but it worked with the plot. I HIGHLY recommend!